When handling a divorce, choose Romano & Associates to provide a realistic value of the shared home. We realize that divorce can be very difficult. There are many choices to worry about, including what happens to the house. There are generally two alternatives when discussing the shared residence - it can be put up for sale and the proceeds divided, or one party can "buy out" the other. In either case, one or both parties would be wise to commission an appraisal of the common real estate. An appraisal for the purpose of asset division should include a well-established, professional report that can be supported during a trial. When you order an appraisal from Romano & Associates, you are assured the best in service with professional courtesy and top notch analysis. 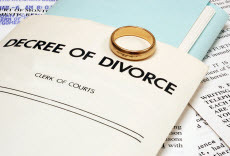 Handling the sensitive challenges of a divorce situation is somewhat matter-of-fact for us. Romano & Associates is there when you need an appraisal related to a divorce or other separation of assets. Louisiana attorneys and accountants depend on our appraisals when calculating real property values for estates, divorces, or other disputes depending on a value opinion. We understand their needs and are accustomed to dealing with all parties involved. We create appraisal reports for courts or various agencies that meet or exceed their requirements. As a lawyer working with a divorce, your case's material facts customarily require an appraisal to establish market value for the residential real estate involved. Often the divorce date differs from the date you ordered the appraisal. We're versed in the techniques and what is imperative to complete a retrospective appraisal that has an effective date and Market Value estimate that matches the date of divorce. For each divorce appraisal we handle, we understand that they need to be handled delicately. The ethics provision within the Uniform Standards of Professional Appraisal Practice (USPAP) binds us with confidentiality, ensuring the utmost discretion.